The County has limited areas where a sweeping schedule has been adopted by County ordinance. 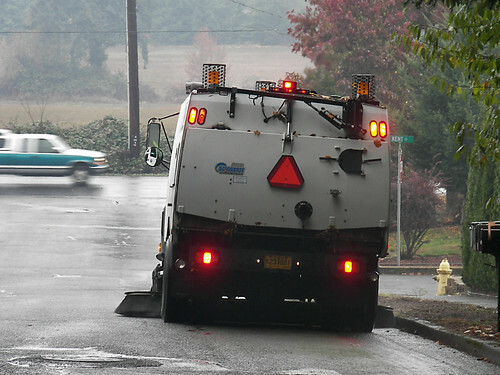 Other County maintained streets are swept on a cyclical basis, depending on the seasons. Generally, residential streets are swept every 2-3 weeks; commercial and industrial areas once a week; and bike lanes once a week.